On Wednesday we dived into the Research and Development of The Princess Alice project. After months of planning it was great to finally see ideas unfolding in the studio! We spent three days in the beautiful Minor Hall at Greenwich Dance, which is a fantastic space to work in. We began by discussing the narrative of the work. The research has developed significantly over the past few months, therefore there are many possible avenues this work could take. It is important that we have an idea of how the final work will be structured, and more importantly what we want it to convey, so that our time in the studio is focused. We explored how to portray the disaster itself unfolding. This is a key part of the narrative and there are a number of ways to present it through movement. We tried a number of different tasks and improvisations and got a little closer to understanding how we might tackle this key moment in the work. The Princess Alice was a paddle steamer running day cruises from London to Sheerness. These cruises attracted a wide range of passengers, all excited for a day out on the Thames. The atmosphere on the boat would have been joyful with families enjoying food, drink and a live brass band. To capture this jovial atmosphere, we had great fun creating a contemporary/ folk dance fusion. To best portray the story of The Princess Alice, we will be working in a much more theatrical style than we have in previous work. A big part of the research will be developing characters and their stories. We began exploring ideas for characters during Friday’s rehearsal. This involved creating character profiles through improvisation and discussion. 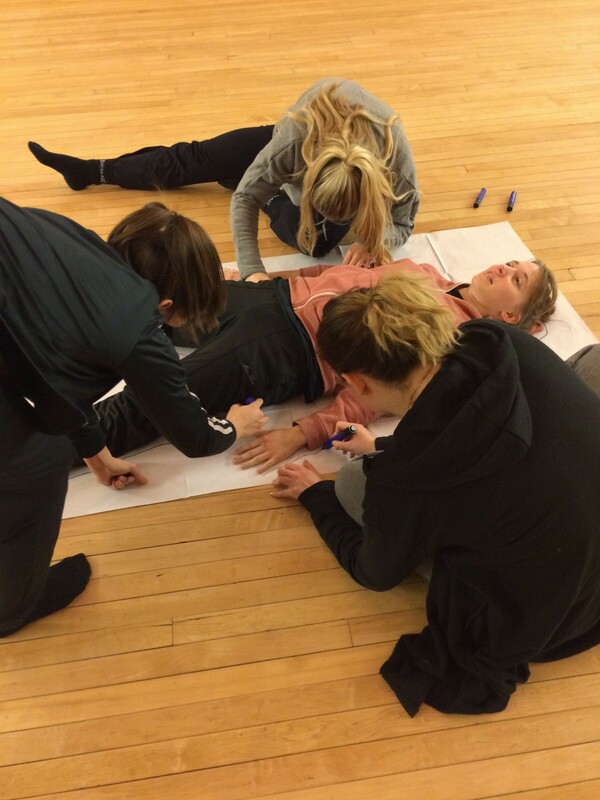 Next week we will be developing individual characters further and creating movement that reflects their story. Before we began our rehearsals on Wednesday, I received some fantastic music samples from composer Portia Graves. These provided brilliant inspiration in the studio and we are looking forward to seeing what develops with the sound score.